With your detailed specs in hand, our production experts will begin the process of manufacturing your product and ensuring it meets all quality standards: those of the government as well as your own. Our facility has capabilities for all your standard bottling needs as well as packaging tailored specific to your product. 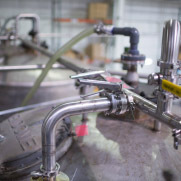 Bottles of various sizes and shapes, aerosol cans, gel cups and other non-traditional packaging are easily manufactured at Temperance Distilling! 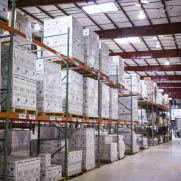 Having a 65,000 square foot bonded facility means we can store your product until you are completely ready to ship. And when the time comes we can do that for you, too. 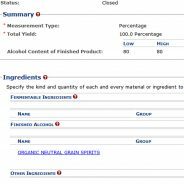 Temperance Distilling is always concerned with safety and quality so each of our processes are carefully monitored. Our transparency to you gives you the peace of mind you need while your product is in the manufacturing stage. With us as your copacker you’ll benefit from a significant cost savings (in lieu of doing things yourself), you’ll need less capital upfront, and you’ll be able to rely on the expertise of industry professionals who have done every aspect of this for clients large and small. When you’re ready to learn more, get in touch directly or fill out the form to the right and we’ll connect with you!